What does a fiercely independent young widow really want? One determined suitor is about to find out. . . When Adeline, Dowager Countess of Wake, learns of her husband’s sudden death, she realizes she’s free. At last, she can do, go, and be as she pleases. Finally, she can have the life she has always dreamed of. She doesn’t need, or want, to remarry. Especially not the supremely dashing future Marquis of Marksworth, who makes Adeline yearn for his desire. . .
Lord Lyonwood, son of a philandering marquis, will not be like his father. 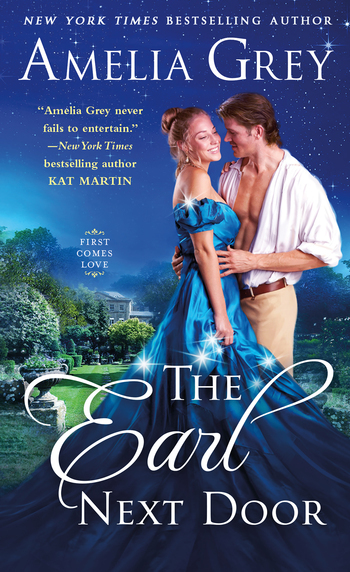 He wants to run his estates and watch them flourish—and find a wife who brings love to his life. When he meets spirited and self-reliant Adeline in a case of near-scandalous mistaken identity, Lyon feels he’s met his match. But Adeline isn’t interested in a marriage proposal. She will only accept becoming his lover—and Lyon finds it hard to refuse. Unless the fire of his passion can melt Adeline’s resolve. . .
New York Times and USA Today bestselling author Amelia Grey read her first romance book when she was thirteen and she's been a devoted reader of love stories ever since. Her awards include the Booksellers Best, Aspen Gold, and the Golden Quill. Writing as Gloria Dale Skinner, she won the coveted Romantic Times Award for Love and Laughter, and the prestigious Maggie Award. Her books have sold to many countries in Europe, Indonesia, Turkey, Russia, and Japan. Several of her books have also been featured in Doubleday and Rhapsody Book Clubs. Amelia is the author of more than twenty-five books, including the Heirs' Club trilogy and the Rakes of St. James series. She's been happily married to her high school sweetheart for over thirty-five years and she lives on the beautiful gulf coast of Northwest Florida.